The first two earthquakes I ever felt! Although a very minor event, I still remember it clearly. I was at home, on the 8th floor of an apartment building. The sensation was something akin to being on a very big boat, and the TV wobbled dramatically on its swivel stand. I must admit that I had not considered the proper actions to take in the event of an earthquake before the event, and I was quite relieved when the shaking eased off. I decided I should do some reading on earthquake preparedness for next time, when a second event occurred only a little more than 10 minutes later! Interestingly, Mike, who was out on a scooter at the time, felt nothing. Although common events, the vast majority of the earthquakes we experienced were magnified by the elevation of our apartment and would have been difficult to detect at ground level. We also discovered that they are much easier to detect lying down than standing up, and it is quite difficult to discern a tremor from rough pavement when driving. Still, we experienced two events that were easily felt on the ground-floor in Hualien, a very seismically active area. This was a much different experience than being elevated – it was much rougher, and felt more like the Earth was cracking apart, rather than a gentle sway. I am thankful for my easy earthquake experiences in Taiwan – thrilling and consequence free. According to the Central Weather Bureau, Taiwan experiences 2200 earthquakes a year on average, about 200 of which are felt on the ground. And occasionally they are devastating. Case in point, an earthquake registering 7.6 on the Richter Scale, that occurred on September 21, 1999, now known as the 921 Earthquake. The 921 Earthquake occurred along the Chelongpu Fault in Nantou County. More than 2300 people were killed, and thousands of others were injured. Thousands of buildings were damaged, and a 7 m waterfall was created by movement on the Chelongpu Fault. A high school lying on the fault line has been converted into the 921 Earthquake Museum where tourists can learn about earthquakes and disaster preparedness, and see some of the damage of the 921 Earthquake first hand. We never made it out there, but I would try to go the next time I’m in Taiwan. 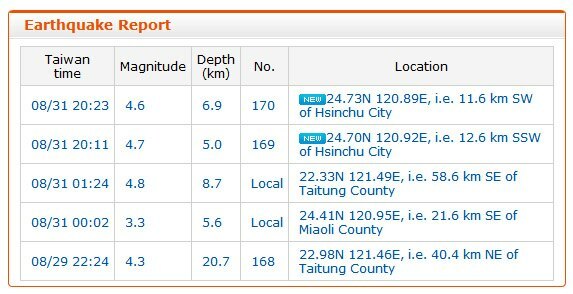 Want to follow seismic activity in Taiwan? Check out the Central Weather Bureau’s Earthquake page. The word ‘monsoon’ may conujure up images of warm tropical rains, however the term monsoon refers to a seasonal wind that reverses direction during the year. The summer monsoon is typically a rainy season, whereas the the winter monsoon is typically dry. This is because during the summer, the Asian landmass gets heated by the Sun. This creates a low pressure zone over the land that draws in wet oceanic air which results in heavy rainfall and potential flooding. In the winter, the system reverses itself. As the land cool down, a high pressure system develops and cold dry air is pushed out toward the ocean. In Taiwan, this story is complicated by the Central and Xueshan mountain ranges. The winter monsoon is blocked by these mountains, resulting in cloudy weather and orographic precipitation over northern Taiwan during the winter months, while southern Taiwan stays dry. The summer monsoon is rainy throughought Taiwan, and can be divided into three components. First, there is a rainy period in May called 梅雨 (Meiyu = Plum Rain). This is followed by a break in the rain, and then another rainy period that extends from July to September. 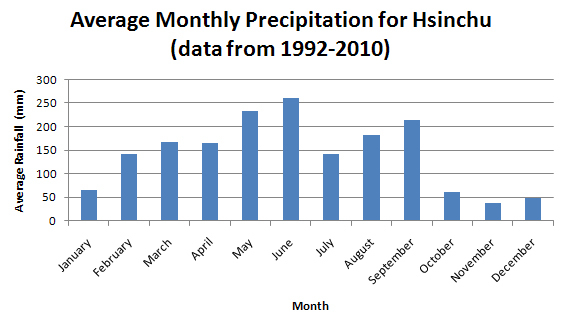 Average Monthly Precipitation for Hsinchu from 1992-2010. Data from the Central Weather Bureau. Yijui, Ding, Johnny C.L. Chan, 2005: The East Asian summer monsoon: an overview Meteorol. Atmos. Phys. 89, 117-142. Yen, Ming-Chen, Tsing-Chang Chen, 2000: Seasonal Variation of the Rainfall Over Taiwan Int. J. Climatol. 20, 803-809. Chen, Ching-Sen, Yi-Leng Chen, 2003: The Rainfall Characteristics of Taiwan Mon. Wea. Rev. 131, 1323-1341. Hung, Chih-wen, Pei-ken Kao, 2010: Weakening of the Winter Monsoon and Abrupt Increase of Winter Rainfalls over Northern Taiwan and Southern China in the Early 1980s J. Climate, 23, 2357–2367. Rain, wind and waves… Typhoons! Typhoons are the the Northwestern Pacific’s equivalent to the hurricanes that occur in the Northeastern Pacific and Atlantic. They are formed when a number of factors (including a warm ocean and an existing weather disturbance) come together. When a typhoon makes landfall, it can bring high winds, torrential rain, huge waves and flooding. Heavy rains and the occasional windy weekend were all the effects of hurricanes I ever experienced in Ontario, but I did experience Hurricane Igor in St. John’s, Newfoundland. While the storms themselves are similar to what Igor was, the frequency with which they arrive is amazing. There have only been 13 hurricanes that made landfall in Newfoundland since 1775, but Taiwan experiences about 2 or 3 a year! This, of course, means that there is much infrastructure put in place to deal with such storms, such as huge floodways and bridges that seem to be taller than one might think they need to be. We experienced a few typhoons, the most serious of which was Soulik, which caused 4 fatalities, and among other things, the largest offset ever recorded at the mass damper in Taipei 101. For us, the winds seemed similar or less severe than those we experienced during Igor, but the amount of rainfall was absolutely astounding. You can track typhoons near Taiwan through the Central Weather Bureau Typhoon Advisory page. 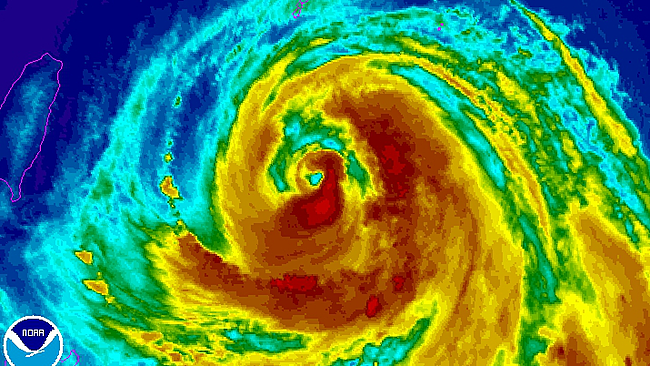 Check out excellent photographer (and my soccer teammate) Colin Peddle’s photojournal capturing the destruction of Hurricane Igor and a BBC summary of Typhoon Soulik (plus video). 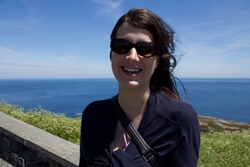 I am a graduate from the M.Sc program of the Earth Sciences Department at Memorial University of Newfoundland, currently living in Waterloo, Ontario. I love to be outside having adventures and exploring new parts of the world (I spent the last year exploring Asia). I especially enjoy hiking, canoeing, and camping. Indoors, I like to read, build balsa wood airplanes, work on this website and play the piano and flute.